An evening focussing on possible meeting points between melody and noise, or tone and its fragmented neighbour. ka describe themselves as ‘acoustic in every electronic bit’ (with guitar, electronics and drums). 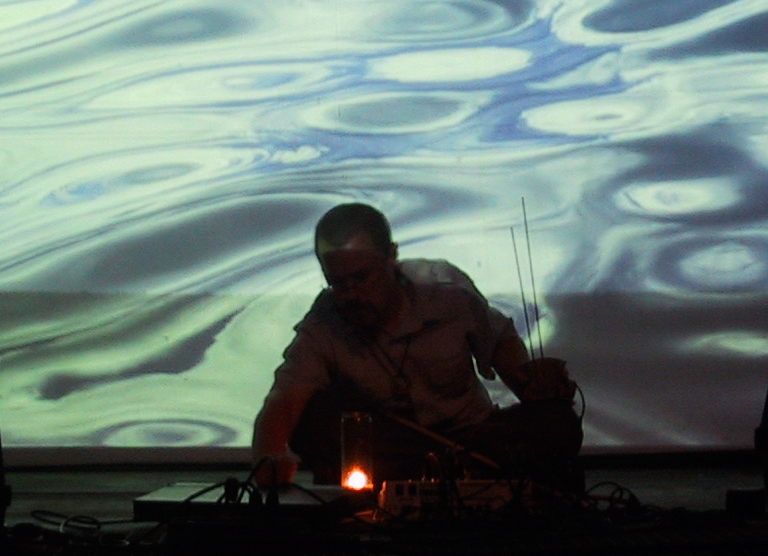 Lgamble’s microscopic laptop abstractions celebrate the fractured while murmer does a melding of field recordings with the tonal playing of a bowed metal chime (www.murmerings.com/). DJs Tom Scott and Space Commander Travis move from obscure film soundtracks all the way to possible Spoken Word. “PostsovkhoZ started as open forum to question the social, cultural and economic issues facing rural life in post-soviet Estonia. PostsovkhoZ has developed into a multi-purpose, cross-discipline event for creative interventions in a context-specific location. PostsovkhoZ encourages both the exchange of ideas and the realization of short term artistic projects within a 10 day event. PostsovkhoZ is hosted by MoKS, an NGO cultural organization dedicated to local and international cooperation in the fields of arts, social and environmental research in Mooste, Estonia (pop. 520 people, 48km SE of Tartu). ternal seeks to draw attention to the intricacies and interactive relationships of private/public, internal/external, personal/common space and experience. in the center of a defined space (indoor? outdoor?) is a dimly glowing tent. at 4 compass points at the extremities of the space are 4 resonant containers (bottles, bowls, tubes…), each containing a small microphone. somewhere in the space there is also a pair of speakers. inside the tent (which provides the only light) is a warm and comfortable arrangement of cushions, blankets and objects, inviting a curious participant in. there is a small tray/table/platform containing an array of small found objects (rocks/leaves/metal). there is also a pair of headphones. a participant in the space outside the tent will see the space lit by the light from within. the participant will also, if there is another participant inside the tent, hear the sounds being created by the found objects, which are captured and amplified into the space through the speakers. a participant inside the tent will be invited to manipulate the objects before them, and to put on the headphones, through which they can hear the ambient sound of the larger space resonating in the 4 containers at the compass points (voices, footsteps, perhaps there are leaves on the floor?). sounds they themselves are creating with the objects may also be captured by these containers to find their way back into the tent.